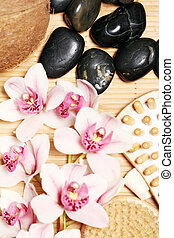 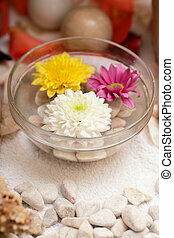 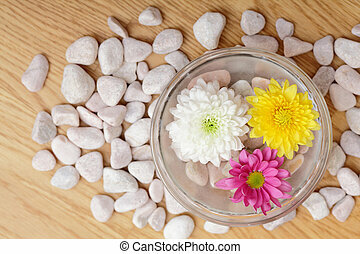 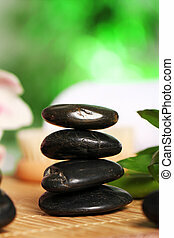 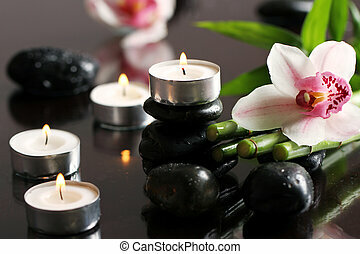 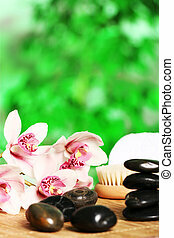 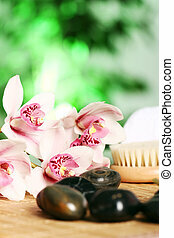 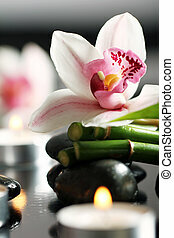 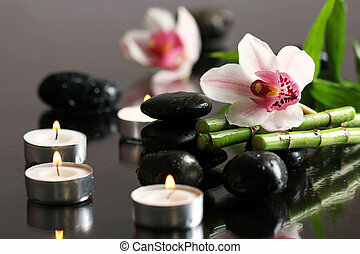 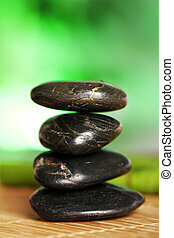 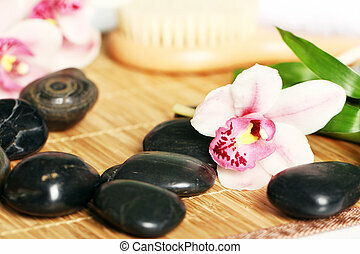 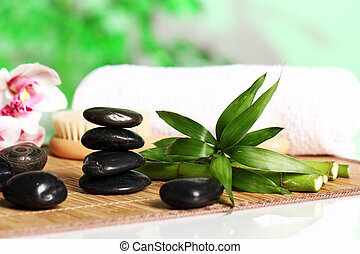 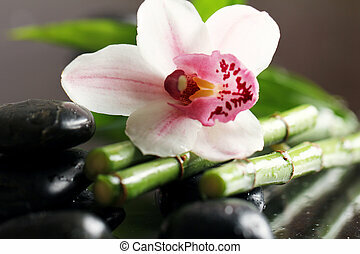 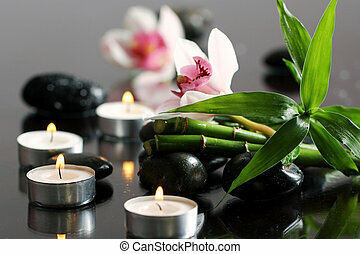 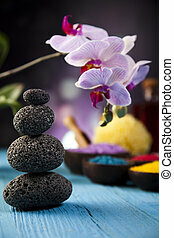 Spa and wellness details - Preparing an aromatherapy session, flowers, water and oils. 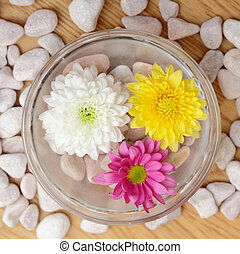 Beauty shot of a young beautiful model. 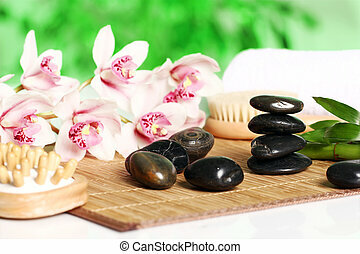 Spa skincare.